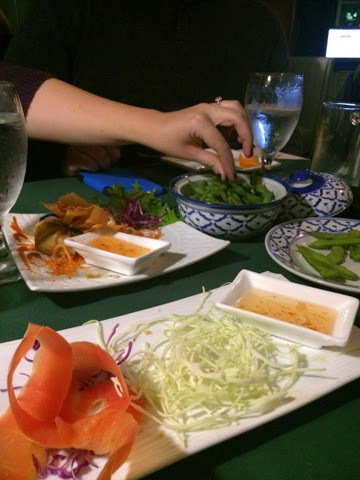 #1,856 Thai Food + Candle Talk. – Laurel Mercantile Co.
Now reading: #1,856 Thai Food + Candle Talk. #1,856 Thai Food + Candle Talk. 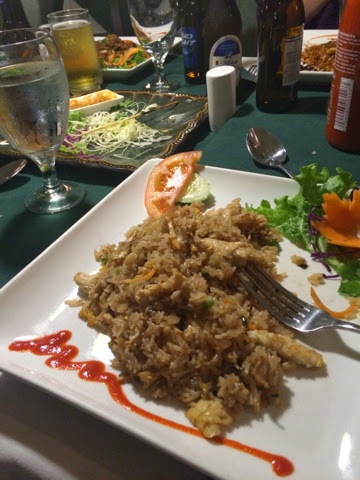 I reluctantly ate Thai food tonight at Ross and Laura’s urging that we all go to dinner at Jutama’s… And I was surprised to find that I liked it. It wasn’t spicy like I had imagine it would be, and I cleaned my Thai fried rice plate. In other news, we are getting into serious conversations with the candle company about creating some custom fragrances for Lucky Luxe Dry Goods (coming this summer!) and I would love your input. We will start with just one and see how it goes. Which would you be interested in first? I know Ashlee’s answer and I tend to agree with her… But y’all tell me what you think. 1. Finally, a candle that smells EXACTLY precisely like the sweet olive blooms that are the smell of long walks around Laurel in the spring and fall that I’ve been talking about forever on this blog. 2. A candle that smells exactly like hot tea with lemon since B&BW discontinued it–because until I finally run out of my stockpile, that’s the smell of this house all winter long, the smell of Downton Abbey and rainy, sleepy Sundays. 3. A candle that smells like my beloved discontinued Simply White perfume that Ben has requested so it will remind him of the week we met whenever it’s burning on the piano in the office. One of them is getting made… And I’m leaning sweet olive. What do y’all think? #1,855 Walker Lunch + Surprise Supper.